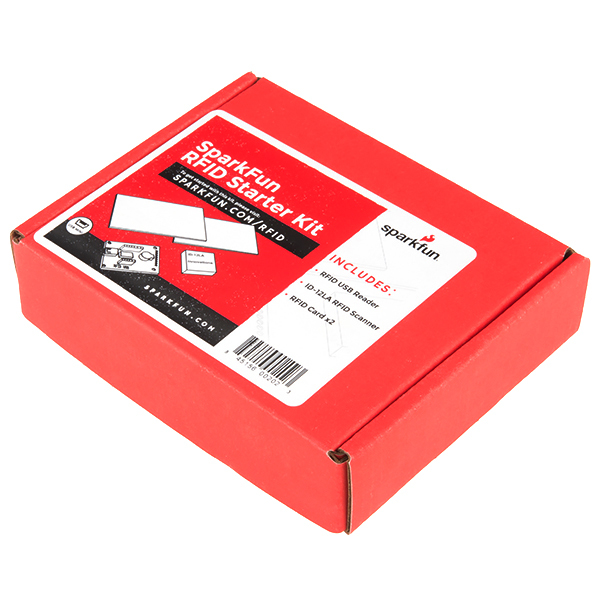 This it the SparkFun RFID Starter Kit, an all-in-one kit that offer everything you need to get your next RFID project off the ground. 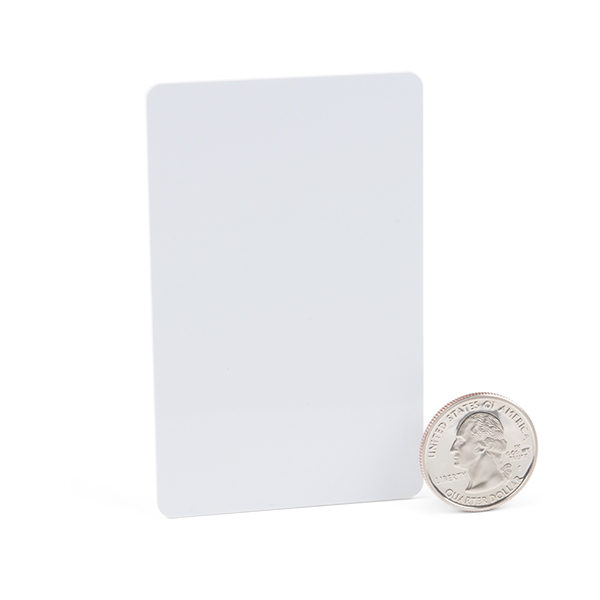 This kit includes our USB RFID Reader, ID-12LA RFID module, and two 125kHz RFID cards. We've done away with the annoying clamshell and now offer this in the same type of box as the rest of our kits. The RFID USB Reader is a simple to use, USB to serial base unit for the ID-3LA, ID-12LA, and ID-20LA readers. Simply plug a reader into the headers and attach a miniUSB cable. Open a terminal program of your choice at 9600bps 8N1, then scan your 125kHz ID tag and the unique ID will be shown on the screen. The unit is based on a FTDI chip and comes with a read LED and buzzer. I'm not sure why I would want the fancy interface card. The underlying module generates serial. That can be read by an Arduino, and a lock mechanism opened when an authorized RFID device is presented. 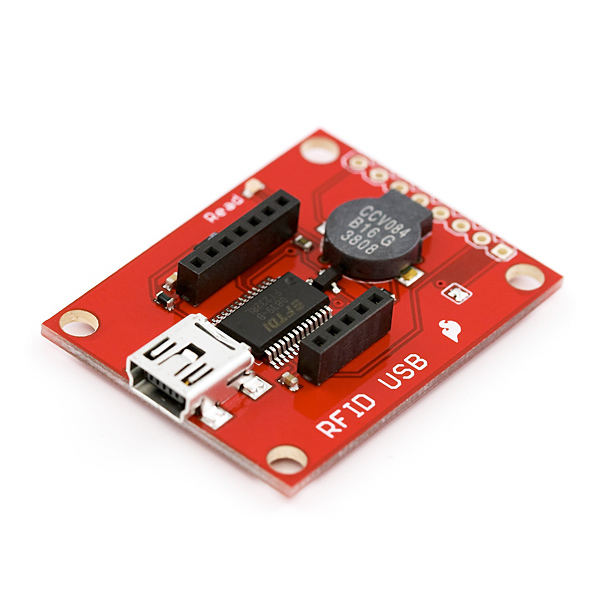 How does providing a serial-to-USB interface help create a real-world useful system? 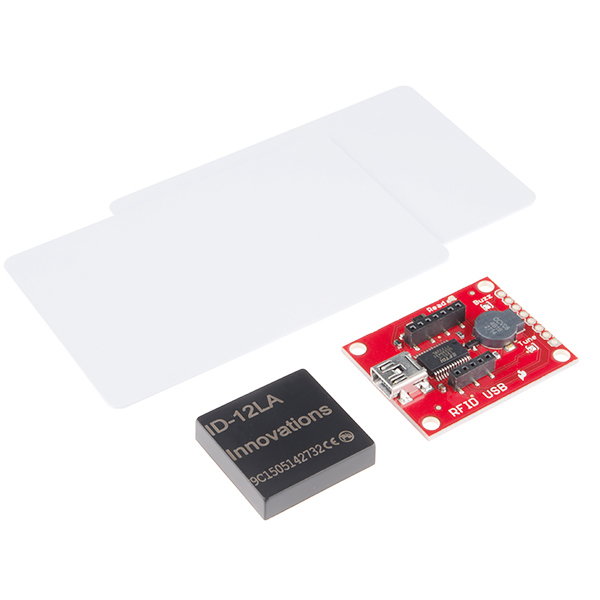 (Note: Sparkfun DO SELL the ID-12 and ID 20... NICE modules!! And be sure to buy the headers for the eccentric pin pitch of the connectors from either.) More help at... http://sheepdogguides.com/arduino/art3rfid1.htm (That system has opened my front door for me since Feb 2011. I only use a traditional key during power cuts. We've found that for people getting started, who have not played with RFID before, the Serial to USB board makes it easy for them to see in real time what the cards are outputting. It's quite powerful when someone holds a card within a few inches and they hear the beep and see a serial string output. They learn a few things quickly: RFID cards don't work when they're held X feet away, and that RFID readers boil down all the black-magic to a unique ID (string). On top of that, the Serial to USB board can used as a simple breakout board for the module. So if a card has 32 bits or less it would read? In my testing it only works with the cards it was packed with. The other cards I have are 33 bit or more and none are able to read. My cards use a non standard configuration of the facility code but I was hoping to just be able to read the raw data even that last 32 bits of it would be fine, but no such luck. Hello, very a good product. I have a question do you don't have a simple solution for people who are not programmer to write a card rfid under mac osx? Can the "beep" sound it makes turned off somehow? The product looks nice, but I need it to be silent. A buzzer that sounds when a card is read. If you are using the RFID kit in a stealth application, you can disconnect the buzzer by removing the blob of solder on the Buzz jumper. I got the reader up and running on both an arduino uno and a raspberry pi in a matter of hours. Good product with great instructions on the sparkfun website. Wish it had a little more range. I mounted it in a plastic project box with the surface of the reader right behind the cover and you basically have to put the card right on the cover for it to read. I connected it to a Particle Photon via serial. RTFM. The serial output puts out non printing characters other than CRLF. I didn't realize this and the libraries I was sending the read data to didn't appreciate it. It worked fine once I stripped the non printing characters. Be wary that it works with EM4100 and 4001 cards, but not HID cards. Also, it makes a rousing beep whenever the card is scanned, which can be annoying if scanning many cards. I've used this in both an Arduino automatic door lock and a Raspberry Pi Windows IOT device for machine locks at a new Makerspace we are building. The only issue I have is the beep is very similar to the training beep on my dogs collar. When I'm testing the system the dog keep looking at me expecting a command. So I have to test the system and train the dog at the same time. I hooked it up as instructed and it did just like it said. I was pleased with the sensitivity. I now need to learn more about how to handle the data it produces. I got this board to test how a RF field would hold up through plastic, and it worked great! I literally just plugged a USB in, opened TeraTerm, and started reading tags.The buzzer is a very nice feature. Great product! My 11 yr old son got it put together just fine for his science fair project but we had so do some research into figuring out how to extract and display the ID number of the RF tag so he could get it trigger different events. Would be nice if the sample code also included the code to display the RF tag's ID on an LCD. 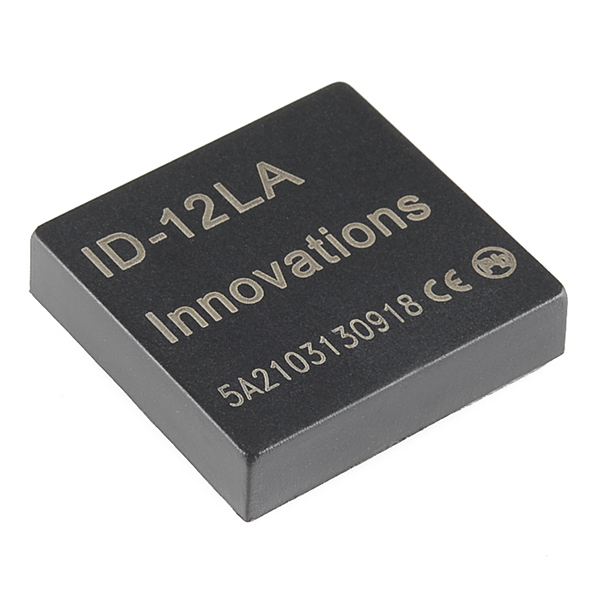 Very easy to use... Just plug in the ID-12LA and connect the unit to a serial port. fast delivery to the other side of the world! RFID kit was ordered on Monday and received it on my doorstep all the way to Manila on Friday! Thanks SparkFun! The USB allows me to easily record RFID tag serial numbers and the breakout part allows me to easily implement RFID into my embedded projects. Easy to use! I had it up and reading cards on the serial monitor within a few minutes using Arduino.